JACKSONVILLE, FL. 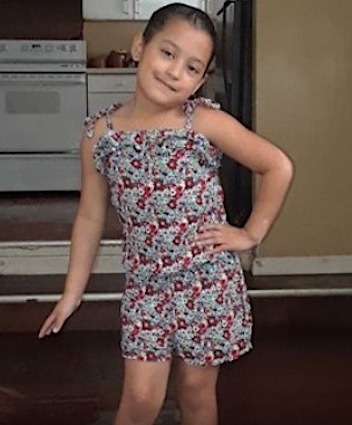 (THECOUNT) — The child shot and killed while seated in her father’s vehicle as they waited for mother to finish work at El Tapatio restaurant, has been identified as 7-year-old Heydi Rivas Villanueva. Jacksonville Sheriff’s Office reported Villanueva was shot and killed on the Westside Saturday evening after being caught in the crossfire of a shootout that broke out nearby. TRENDING: Family ID'd #SEATAC Suicide Plane Stealer As "Beebo" in "Complete Shock"
The shooting occurred in a parking lot of El Tapatio restaurant Mexican restaurant, located at, 7900 103rd St #32, Jacksonville, FL 32210. Little Heydi was pronounced dead at 8:49 p.m. They detail the two suspects as black men, one wearing a white top, acid-washed jeans, and another wearing a maroon top. JSO also said the suspects are believed to be in an early-to-mid 2000’s green Nissan Altima. Family ID'd #SEATAC Suicide Plane Stealer As "Beebo" in "Complete Shock"
1 Dead In Houston Recording Studio Shooting Early Sunday Morning "Handguns, High Powered Rifles"